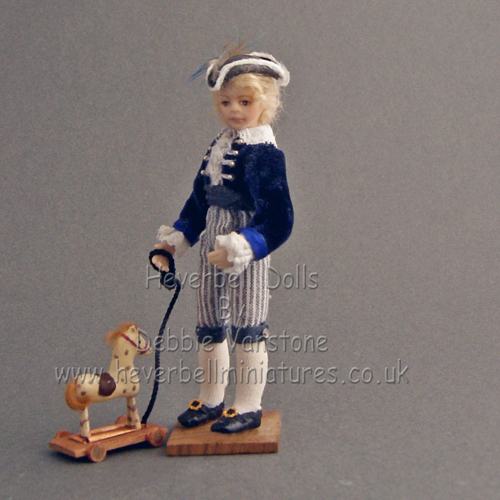 William is a little boy from the Georgian era, he is wearing a rich blue velvet jacket, adorned with lace cuffs and collar. 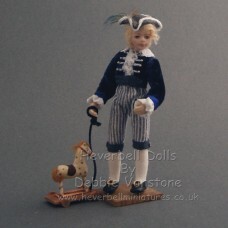 The breeches are made from striped cotton, as you can see William is wearing tights and tiny handmade shoes with a buckle. The hair is made from viscose finished with a tricone hat typical of the 18th century. 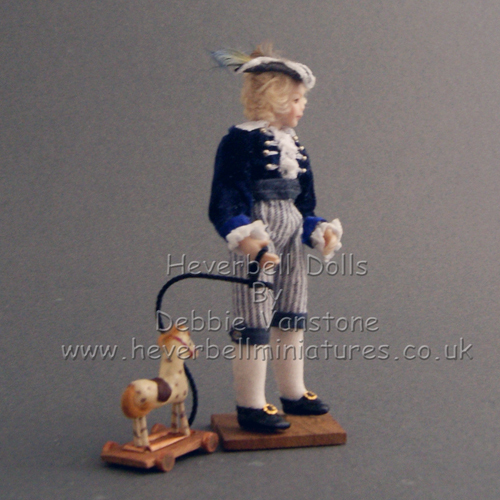 The little toy horse, also handmade is part of the listing. I have designed Williams’s shoes to fit onto 2 prongs attached to the wooden stand; however, a traditional doll stand could be used instead if preferred. William is approximately, 4” high. 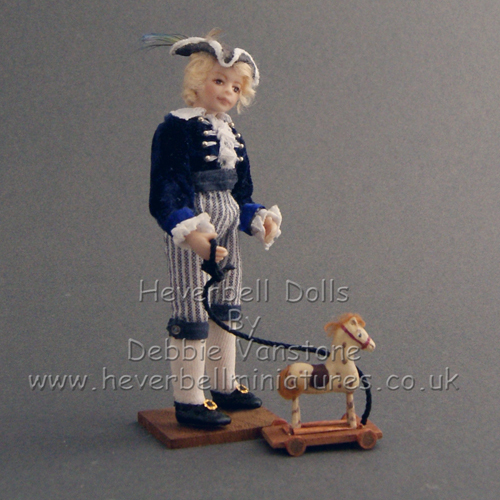 He has been made for adult collectors and not suitable for children under 14 years.